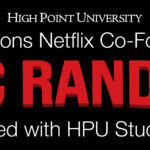 HIGH POINT, N.C., April 9, 2018 – Marc Randolph, Netflix co-founder, Silicon Valley icon and High Point University’s Entrepreneur in Residence, will return to campus on April 23 for a Q&A session at 10 a.m. with HPU President Nido Qubein. The event is open to the public with a limited number of complimentary tickets available. Guests may reserve tickets by calling HPU Campus Concierge at 336-841-4636 or emailing concierge@highpoint.edu. HPU student Dylan Silber poses for a photo with Randolph after working one-on-one with the entrepreneur. Randolph will also work closely with students in a variety of majors across campus, such as entrepreneurship, business and pharmacy. 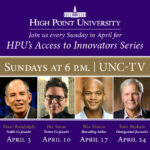 He first visited HPU in 2015, when Dr. Nido Qubein, HPU president, interviewed Randolph in front of a live audience for UNC-TV public television. 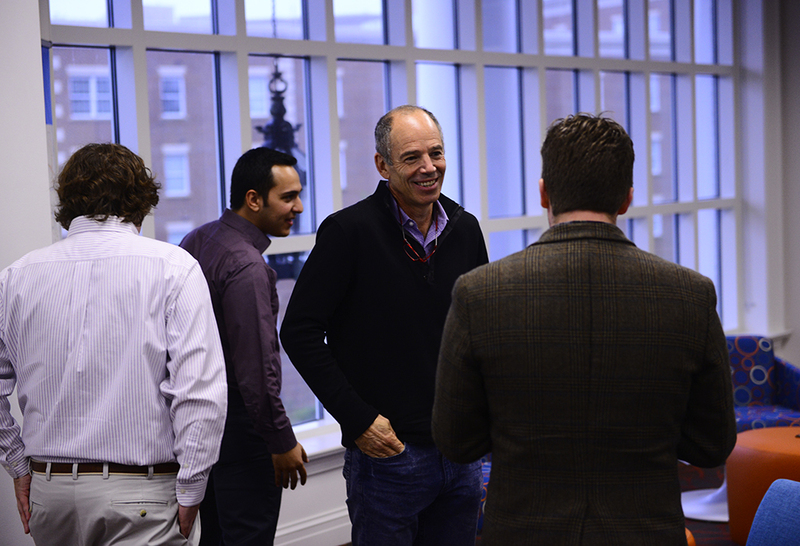 Randolph also met with students who pitched their business plans to him inside the Belk Entrepreneurship Center in Cottrell Hall. Randolph officially took on the role of Entrepreneur in Residence in fall 2017. During his upcoming visit, he will work with students in the Entrepreneurship Club and the Selling Club at HPU. 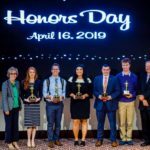 Randolph’s role reflects the university’s #1 Most Innovative Regional College in the South ranking from U.S. News & World Report. 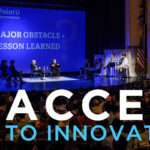 Apple Co-Founder Steve Wozniak also serves as HPU’s Innovator in Residence, making HPU the only university in the nation where both of these technology leaders have committed to serving in residence. 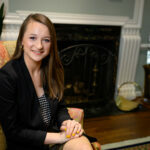 For a full list of global leaders who served in residence at HPU, visit highpoint.edu/accesstoinnovators. 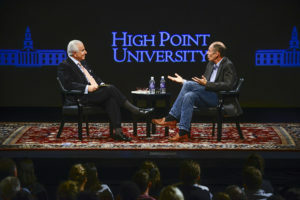 HPU President Nido Qubein (left) interviews Netflix Co-Founder and HPU’s Entrepreneur in Residence Marc Randolph during a 2015 visit. 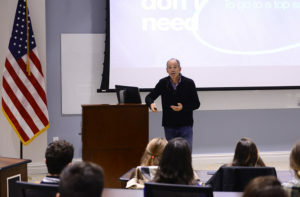 Randolph presents to HPU students inside Cottrell Hall.